LONDON, EAST SUSSEX, UNITED KINGDOM, July 8, 2018 /EINPresswire.com/ -- "Emotional eating always happens for a reason. And, when you know what to look for that reason will become clear to you." says Katrina Love Senn, author of a new book, Heal Emotional Eating For Good. Senn says, "Emotional eating is a way that women (and men) self-medicate and suppress uncomfortable feelings. But, instead of looking at it as a problem to be solved, consider it an invitation to start your healing journey." 'Heal Emotional Eating For Good' inspires women to stop comfort eating and start their healing journey instead. It is a follow up to her first book, 'Losing Weight is a Healing Journey'. Katrina Love Senn is an internationally renowned yoga teacher, healer and author of 2 books: 'Losing Weight is a Healing Journey' and her new book, 'Heal Emotional Eating For Good'. Just a few days before her 20th birthday, Katrina had a complete body breakdown. Her Doctor wanted to put her on experimental medication but her intuition guided her to look for other healing methodologies. 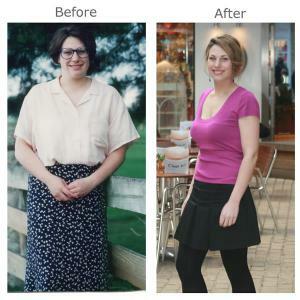 She lost over 60 pounds naturally and healed her body of chronic asthma now devotes her time to helping other women to heal through her books, meditation programs and international retreats. She was born in New Zealand and lives in the UK, with her husband. 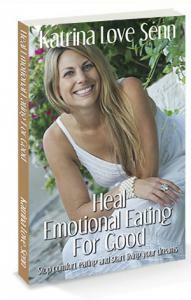 Heal Emotional Eating For Good is available on Amazon everywhere. Please contact Katrina Love Senn for an author interview today.